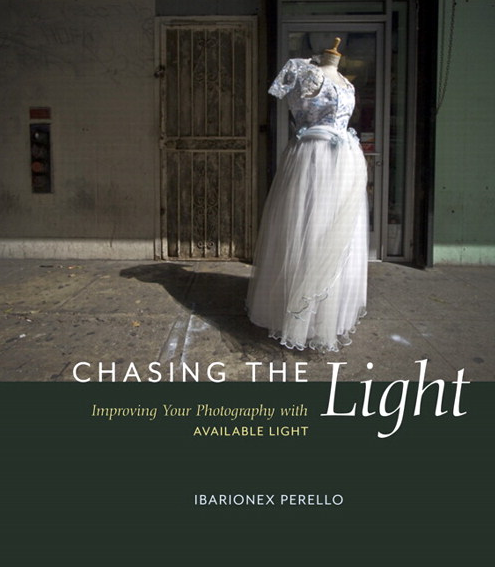 renowned photographer, writer, and educator Ibarionex Perello shares his unique insights for partnering with natural light to create evocative digital images. He brings his palpable passion and personal approach rooted in decades of experience, and reveals his honed techniques for controlling focus, exposure, white balance, and sharpness to create beautiful and impactful photographs. In an industry so obsessed with gear, this book bridges the gap between the technical and the creative and returns to a personal, inspirational narrative about perceiving and photographing light. Created expressly for the beginning photographer–no matter what camera you might be using–Peachpit Press's bestselling From Snapshots to Great Shots books teach you the core fundamentals of photography, and show you exactly how to execute those fundamentals with your camera. Now that you’ve bought the amazing Canon 5D Mark III, you need a book that goes beyond a tour of the camera’s features to show you exactly how to use the 5D Mark III to take great pictures. With Canon 5D Mark III: From Snapshots to Great Shots, you get the perfect blend of photography instruction and camera reference that will take your images to the next level! Beautifully illustrated with large, vibrant photos, this book teaches you how to take control of your photography to get the image you want every time you pick up the camera. With Canon 5D Mark III: From Snapshots to Great Shots, you’ll learn not only what makes a great shot work—you’ll learn how to get that shot using your 5D Mark III. This beautiful art showcase book from Adobe Press features 30 established and emerging Photoshop artists, their masterful work, and tutorials demonstrating their techniques for using Adobe Photoshop. 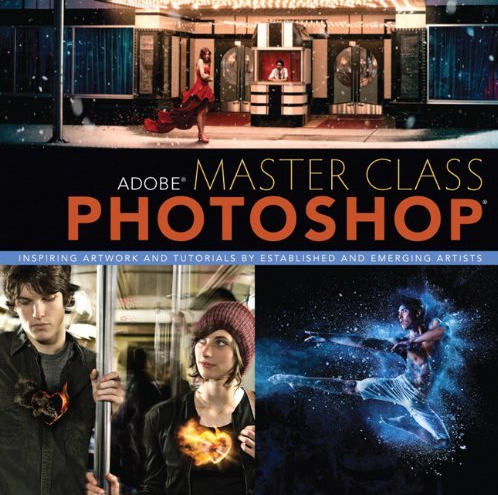 Curated by renowned photographer and educator Ibarionex Perello, Adobe Master Class Photoshop features an inspiring collection of innovative Photoshop artists and their amazing artwork. The images represent a mix of techniques and styles and are field-defining works that demonstrate technical excellence and awe-inspiring aesthetics. Readers will also appreciate the artists' commentary about their inspiration and philosophy about their art. In addition to the art showcase, this book includes several tutorial projects that teach techniques for working in Photoshop. The how-to content, comprising 25 to 30 percent of the book, is based on general Photoshop features, so this book can be useful for users of recent and future versions of the Photoshop software. There is an art to capturing a photo that tells a story. You need to know what belongs in the frame and what to leave out, what to emphasize in the photo that adds to the story, and how to use light, shape, and color all to express meaning while lending aesthetic value to the image itself. Vincent Laforet–Pulitzer Prize-winning photographer and voted one of the "100 Most Influential People in Photography" by American Photo –gives a rare look into the art of photography through his lens as a master editorial and commercial photographer. 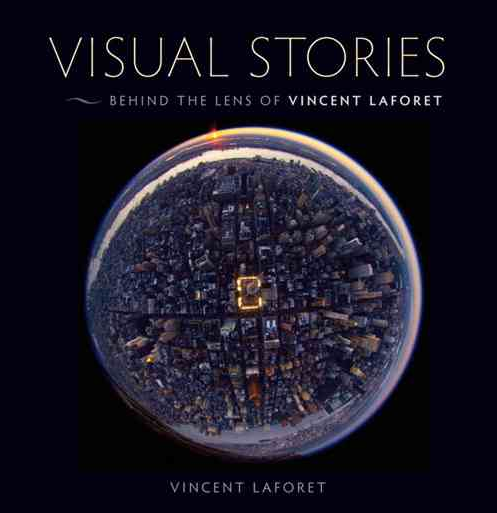 Visual Stories: Behind the Lens of Vincent Laforet contains full-color spreads, with scene details and technical information to help tell the visual stories of larger-than-life life events such as Hurricane Katrina, the Olympic Games, and the war zone of Pakistan. With over 100 photos included, you will gain important insights into how you can achieve similar looks—blending what the camera does with the stories you want to tell.